The New Haven Alumnae Chapter of Delta Sigma Theta Sorority, Inc. was chartered on October 3, 1959 .
and Okinawa), Germany, the Virgin Islands, Bermuda, the Bahamas, and the Republic of Korea. Awareness and Involvement, and International Awareness and Involvement. New Haven, CT, October 15, 2016 – The New Haven Alumnae Chapter of Delta Sigma Theta Sorority, Inc. together with the Epsilon Iota Iota Chapter of Omega Psi Phi Fraternity, Inc. will host the Red Haute Masquerade Mardi Gras Scholarship Dance on Saturday, November 12, 2016 at 7 pm. 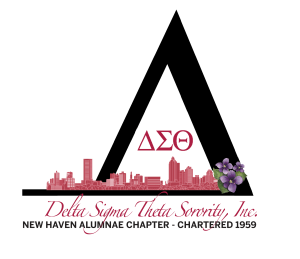 New Haven, CT, September 21, 2016 – The New Haven Alumnae Chapter of Delta Sigma Theta Sorority, Inc. is currently accepting applications for their Delta Academy and GEMS mentoring program for the 2016-2017 session.